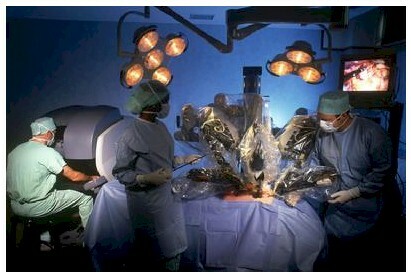 Spotsylvania Regional Medical Center proudly offers the da Vinci® Si Robotic Surgical System. This robotic assisted technology allows ours surgeons to operate using the tiniest incisions – with greater vision, precision and control. One of the main enhancements provided by robotic surgery as opposed to traditional open or laparoscopic surgery is a faster recovery. Generally, patients have a shorter, less intense pain course and a shorter period of physical restrictions. The Virginia Institute of Robotic Surgery is an award-winning 10 facility organization in Central, Northern, and Southwest Virginia, performing more robotic surgeries than any other health system in Virginia. Minimal Scarring. Less Pain. Faster Recovery. Shorter Hospital Stay.